Biochemists at the Universities of Liverpool and Dundee have been awarded a prestigious Wellcome Trust Collaborative Award in Science of more than £1.5M to study potential disease-causing mechanisms in the cell cycle. The team composed of Professor Sonia Rocha at the University of Liverpool’s Institute of Integrative Biology and Professors Angus Lamond, Jason Swedlow and Stewart Fleming at the University of Dundee will investigate the interplay between oxygen sensing proteins and cell division. Oxygen is essential for life in multicellular organisms and animals have evolved mechanisms to cope with decreased oxygen concentration - a condition known as hypoxia. In humans, sensing and responding to changes in oxygen involves a class of proteins called prolyl-4 hydroxylase domain (PHDs). 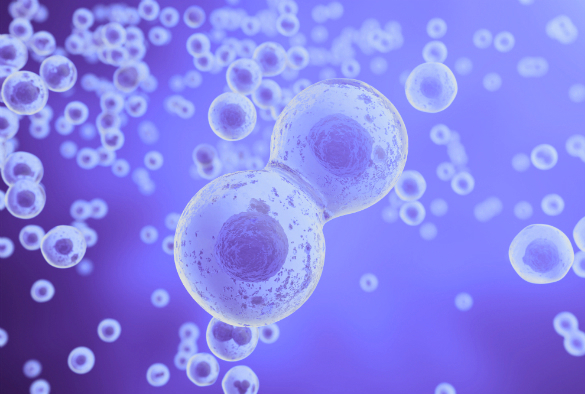 The new study follows on from earlier work by the team, which showed that these oxygen-sensing PHD proteins also target proteins required for the key process of cell division. Professor Sonia Rocha, Head of the Department of Biochemistry, commented: “Our previous finding was unexpected and suggests that sensing oxygen is crucial for regulating cell division. The team will test the hypothesis that the sensing of oxygen levels regulates cell division in human tissues and investigate how dysregulation of these mechanisms may contribute to human disease, with a major focus on diseases of the kidney, where PHD enzymes are known to have important roles. Wellcome Trust Collaborative Awards promote the development of new ideas and speed the pace of discovery. They are given to groups of researchers to work together on the most important scientific problems that can only be solved through collaborative efforts.